My chef/husband has been off for 4 days!! Sorry. I don’t mean to brag, but it doesn’t happen often. So when it does, I feel like telling everyone!! While two of the days we spent as a family, 2 of the days were also school days! You know what that means? We can go on a date without having to pay for a babysitter! Woohoo!! Now I bet you’re wondering just exactly what we did for this hot date. I hope you’re sitting down. It’s pretty great! We went out to breakfast and to the grocery store. Yep. That was our date. We enjoyed a nice quiet breakfast at a local bakery and then headed to Trader Joe’s. We spent about an hour, just walking the isles, planning meals and coming up with some new things to introduce to the girls. (I’ve been in kind of a boring food rut lately and we really need to be eating a bit more variety.) I asked lots of questions and he gave lots of ideas. I loved every minute of it! Now before you think that we go on dates to the grocery store just because my husband is a chef and because we have kids and don’t get out much . . . I remember going on multiple dates to Bristol Farms in Pasadena when we were dating in college and my husband was not a chef. I guess it’s just what we do. Our lives have always revolved around food in some way. The next day we also had a hot date . . . a quiet home without kids (no more explanation needed on that one) and coffee at Starbucks talking about life and food. 2 dates on 2 consecutive days! I am one happy chef wife. Unfortunately he has to go back to work tomorrow (or fortunately, depending on how you look at it. I’m really glad he has a job!) The days after we’ve seen each other a lot are always hard for me. He is my best friend and I love spending time with him more than anyone else. Hurry home honey!! 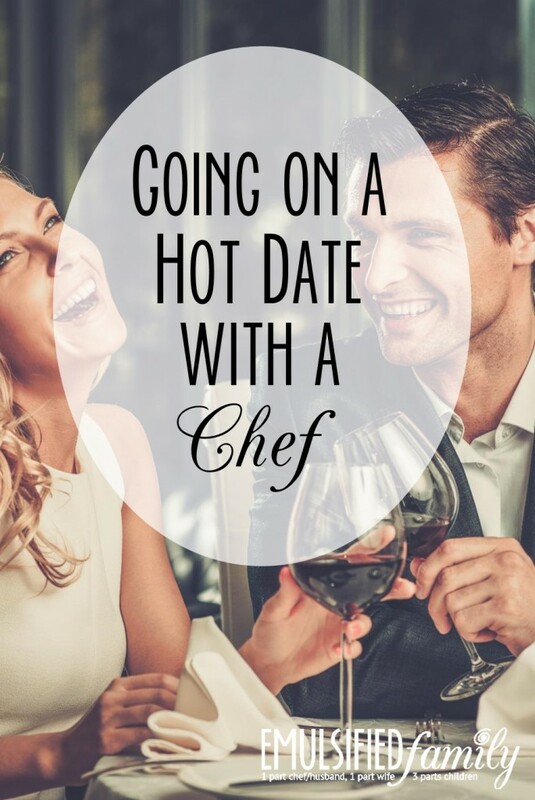 Have you ever gone on a date to the grocery store with your chef? Please tell me we are not the only ones who do this! Let me know in the comments below. Haha! Doesn’t it seem like whatever we do during the day revolves around meal time plans? It’s so funny! Glad to hear it’s that way for others as well!